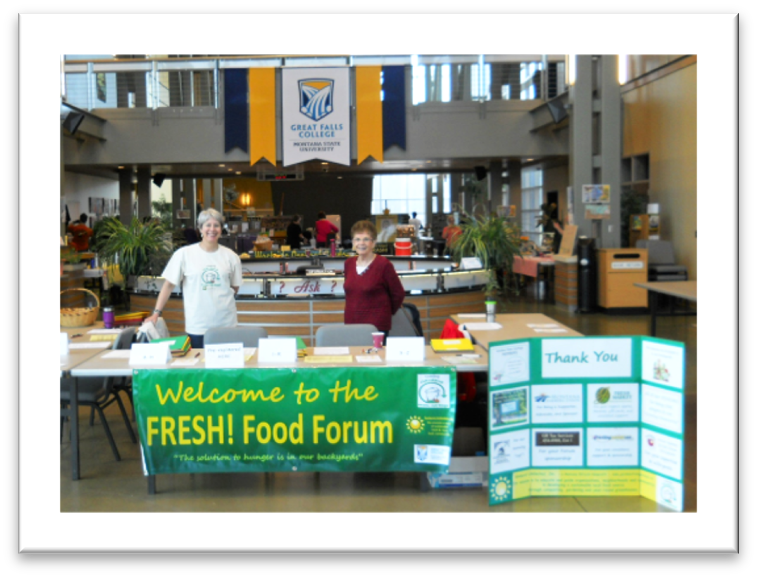 The Forum is a community gathering & resource day focused on growing, eating fresh, and healthy living. 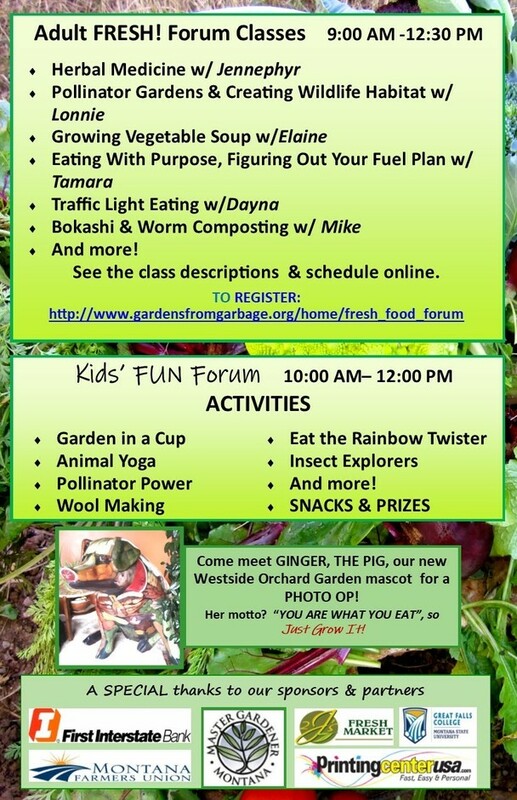 We offer classes for adults and a 2-hour Kid's FUN Forum with activities designed to inspire and have fun with growing, nature, and good eating and exercising! The 9th Annual FRESH! 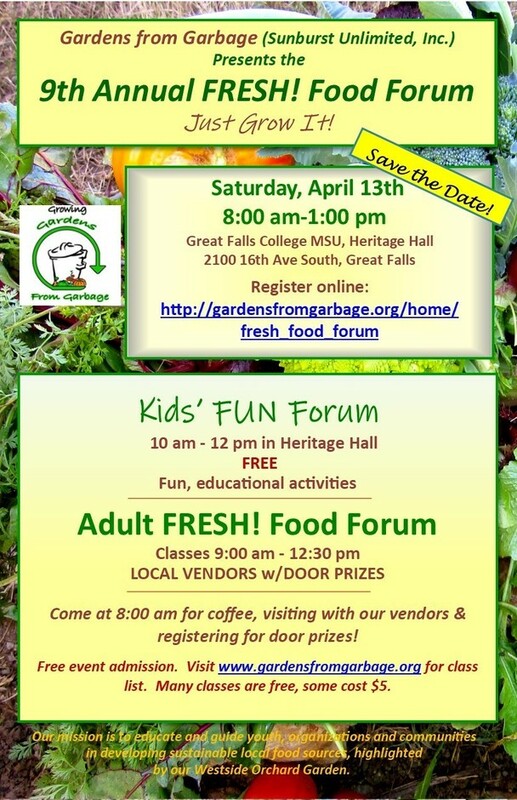 Food Forum is a program of Sunburst Unlimited, Inc. (Gardens from Garbage) partnering with Great Falls College MSU and the MSU Master Gardener Program.